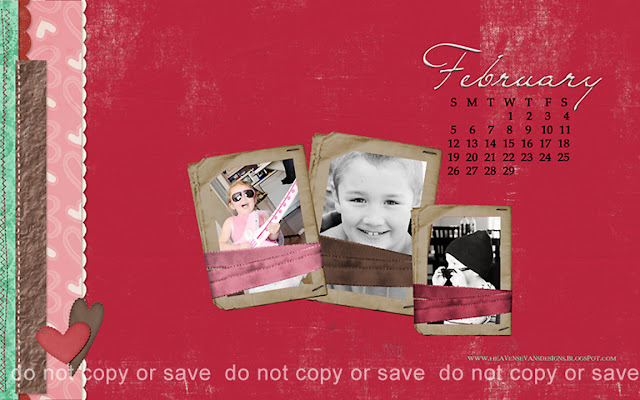 Pin It I have the February Desktop Wallpaper Freebie all ready for you! I added one more Widescreen layout for you. The 1366x768 size works great for my laptop widescreen monitor, but the 1280x800 works better for my 24" Monitor. I don't have a regular size monitor so I hope the 1280x1024 has been working great for you guys. Let me know if you have any questions or suggestions. Just comment below. If you want your desktop wallpaper to have pictures you can download these .png files and insert your own pictures with your photo editing software. Have a great "love" month!! It's my anniversary this month and we will have been married 12 years! Time sure does fly by and every year just keeps getting better and better!